For the day, turmeric futures prices are likely to show a range bound trade. Sport market activity will resume today after 3 days close therefore, heavy arrivals may notice at the spot front which might weigh on prices. According to trade sources, April onwards more new crop will arrive to the spot market creating huge pressure on prices. 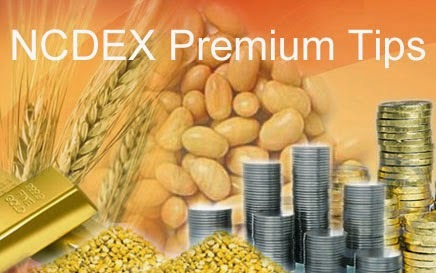 Chana April contract was trading lower by 0.39 per cent to 3597 levels on Monday (11.16 am) 1.11 per cent to 3659 levels at NCDEX. Chana April contract is likely to trade side ways for both short term and intra day. Short term support is seen at 3520 and resistance at 3710. Intra day support is seen at 3570 and resistance at3630. Jeera prices slumped lower from the high of 14775 and later closed the day at 14610. Currently, prices are required to breach the downside support of 14530 for the following selloffs to continue towards 14450 or further lower to 14200 levels. Moreover, daily RSI (14) is still leaning downward, expecting weakness in the immediate run. NCDEX Turmeric trend is looking at the overall factors, we recommend remaining on the selling side in today’s trading session. down trend amid fresh selling on previous recovery during Friday’s trading session. Hence, Turmeric futures prices ended the day in red at Rs.7900/quintal, down by 2.1%. The spot market at Nizamabad remained closed on Friday due to Amabasya. Since the beginning of the session futures started trading down and continuing the downtrend.